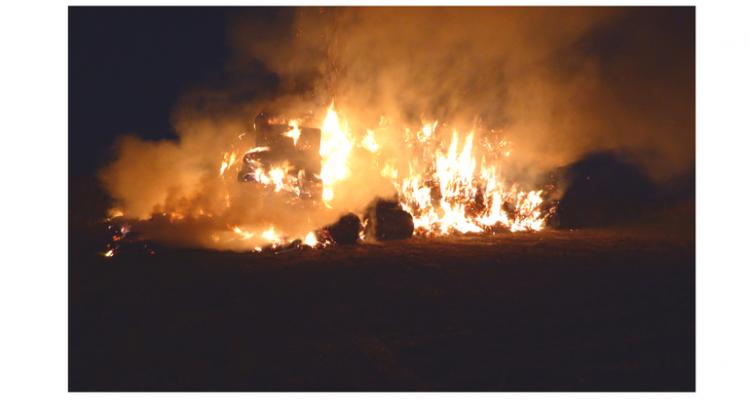 On Tuesday 29th November we experienced an arson attack at Yews Farm whereby a large stack of 800 wheat straw bales were set on fire. This unnecessary irresponsible act put pressure on the already stretched emergency services as well as our own staff. The straw was baled during the summer and was set aside to be used as bedding for our cattle during the winter months.